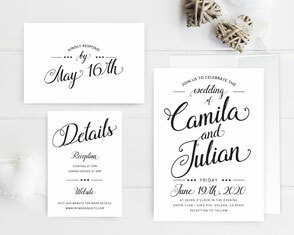 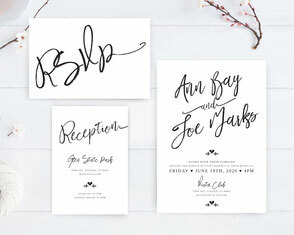 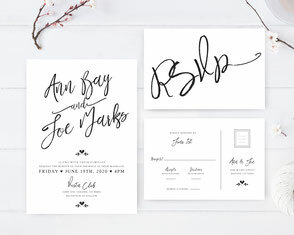 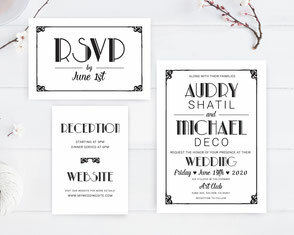 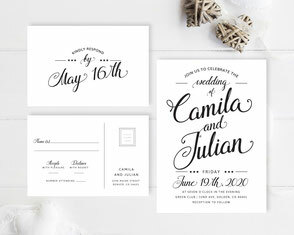 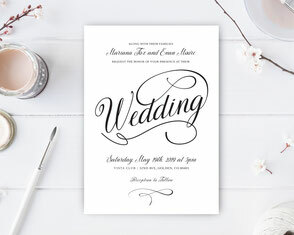 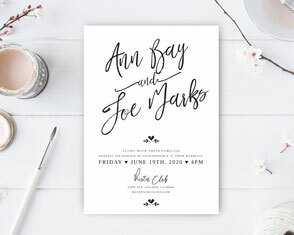 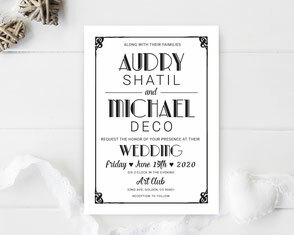 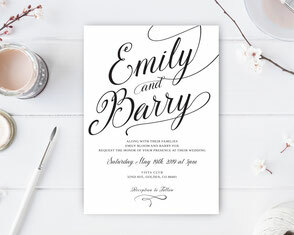 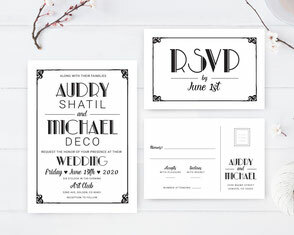 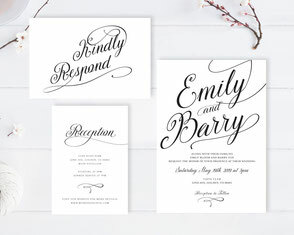 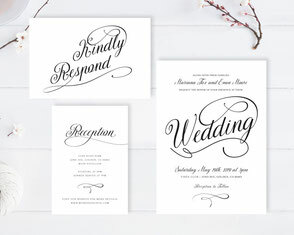 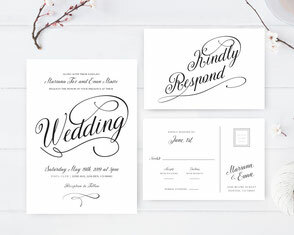 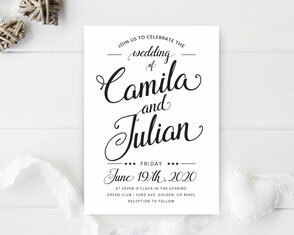 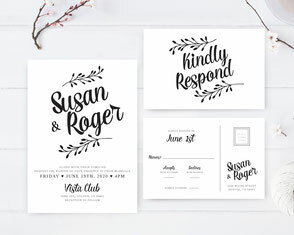 Black and white wedding invitations is a great way to introduce simple, formal or classic wedding. 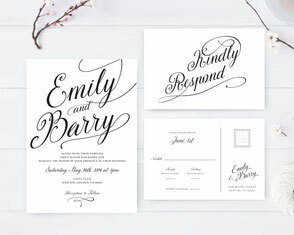 Browse our collection to find uniquely yours invitation. 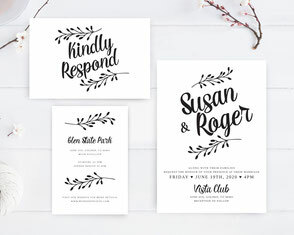 Colors can be changed to your wedding colors. 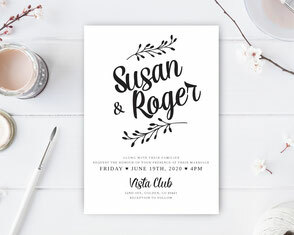 All Invitations printed on premium white paper card stock.